Nebraska and its local economies compete with areas in surrounding states, the nation, and globally for industries and workers. The BBR is committed to studying factors that affect competitiveness including taxation, business conditions, labor force, and infrastructure. The Bureau also is currently developing indicators to compare competitiveness in Nebraska regions and peers in surrounding states. 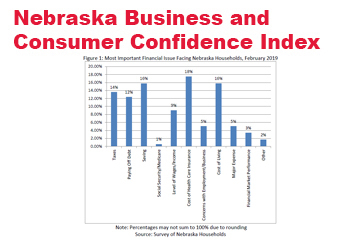 One of the BBR’s primary functions is to provide outlooks for the Nebraska economy. Bureau faculty has substantial experience in developing outlook models for state, metropolitan area, and local economies. The Bureau also produces semi-annual outlooks for Nebraska employment, income, and state tax revenue by taking a leadership role in the Nebraska Business Forecasting Council. 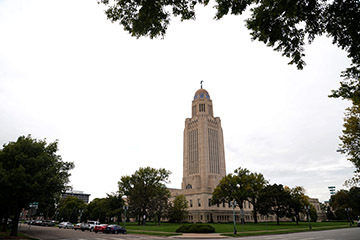 The BBR studies key topic areas facing the Nebraska economy. Labor market analysis examines factors that influence earnings and effort of the workforce. Policy analysis studies the effectiveness and economic consequences of existing or proposed policies. Fiscal analysis considers the implication of particular policies and programs on government revenue. The Growth Dividend: How Has It Been Allocated? by Eric Thompson, David Rosenbaum and Benjamin Schmitz, (March 2010). Report for the City of Omaha (E. Thompson R. Cantrell, and E. Ayol). (E. Thompson, C. Decker, R. Riefler and P. Jeutang). (R. Cantrell, E. Thompson, and S. Frohn). (E. Thompson and S. Freudenburg). (E. Thompson, S. Freudenburg, and T. Heller). (E. Thompson, M. McGarvey, M. Cushing, R. Cantrell, S. Freudenburg, and T. Heller). (E. Thompson, E. Goss, C. Decker, C. Burkhart-Kriesel, B. Johnson, M. Saenz, B. Schmitz, J. Neira, and P. Jeutang). (E. Thompson, W. Burris, I. Boubacar, and A. Perumal). (E. Thompson M. McGarvey, E. Thompson, B. Dority, and J. Sainath). (E. Thompson, with M. Pan, and C. Buland). Business in Nebraska, April 2009 (with S. Carlson and H. Hartman). Brain Drain in Nebraska: What do the data show? Business in Nebraska, November 2008 (with S. Carlson and H. Hartman). (E. Thompson with D. Rosenbaum and Ben Schmitz). Currently under review (submitted March 2009) at The Annals of Regional Science. (E. Thompson with D. Rosenbaum, and V. Khanzhyn) (was under review at Economic Inquiry during 2008). Student Loan Default among College Graduates: The Influence of Assets, Debt, and Ability to Pay. (E. Thompson with A. Perumal, W. Sattayanuwat, and J. Sainath) (was under review at Southern Economic Journal during 2008). (E. Thompson with T. Markwell). Currently under review at Economics of Education Review. (E. Thompson with D. Rosenbaum and Ben Schmitz). Currently under review at The Annals of Regional Science. 11/17/2017 BBR Webinar Series Producer Services in Nebraska - Is the State Making Progress? 8/27/14 GSU Economic Forecast Center Quarterly Conference Growth and Wealth Creation in the Upper Midwest: Is it Sustainable? 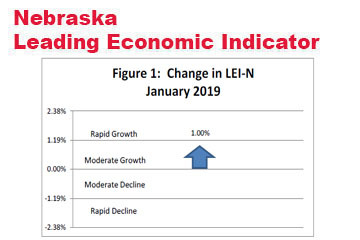 8/21/12 Board of Directors Nebraska Independent Community Bankers 2012 Economic Conditions in Nebraska: What do the Indicators Say?